Please note that there's CCA this Friday. 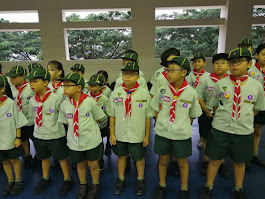 Meet in 2D classroom as usual in your full scout uniform. Bring your log book and record book. Pupils who wish to submit the Donation Draw ticket money or collect more booklets to sell may do so too.